Have you recently injured your wrists? You’re in luck! 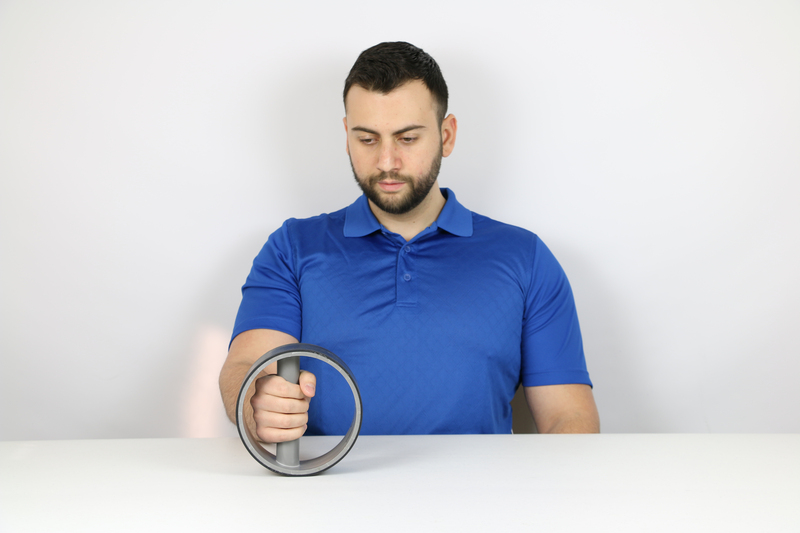 The CanDo® Pronation/Supination Wrist Exercise Wheel is here and it’s ready to help you out with your wrist recovery. As the name suggests this wheel exercises your wrist, but it also does a lot more. This wheel is a therapy aid that exercises muscles in the wrist, forearm and shoulder. It’s perfect for individuals recovering from surgery or injury. To help people recover from wrist injuries, this wheel specially utilizes exercises known as pronation and supination. Pronation is the exercise of moving your wrist inwards while supination is the exercise of moving your wrist outward. Combining these two exercises together into one motion will give your wrist the full range of motion it needs to get stronger and recover. The CanDo® Wrist Exercise Wheel aids in making this combined exercise one fluid motion for better support in injury recovery. Moving from pronation to supination exercises is made easy because of the wheel. The wheel allows you to easily roll your wrist back and forth focusing on the wrist and arm. This is a great improvement over the use of dumbbells for this exercise. Dumbbells can prove to be too strenuous when trying to strengthen your wrists. With the dumbbell there isn’t that same fluid motion when performing a pronation/supination exercise. This is because there is no wheel to properly aid in moving the arm. To get started with your exercise wheel, simply grab the handle on the inside of the wheel and point the handle upwards. Then move the wheel in the pronation or supination direction by rotating your wrist and forearm. Then rotate your wrist and forearm in the opposite direction to get that full range of motion effect. Continue to do this exercise until your doctor tells you to stop or you feel you have done enough of the exercise. Please consult your specialist to see if the CanDo® Pronation/Supination Wrist Exercise Wheel is right for you. To learn more about the CanDo® Pronation/Supination Wrist Exercise Wheel, click here.